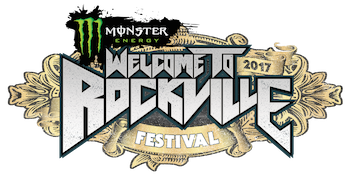 Monster Energy Welcome To Rockville and The Student Experience are offering two very special opportunities for Bright Futures Scholarship recipients (18 years of age and older). The Bright Futures Scholarship program is funded by the Florida Lottery. One lucky Bright Futures Scholar will have the chance to participate in a weekend-long Monster Energy Welcome To Rockville internship experience, working closely with The Music Experience and The Student Experience team at the festival. The internship will also include a backstage tour, with hands-on experience to learn about the daily activities and variety of careers at one of the top music festivals in the U.S. Applications for the Monster Energy Welcome To Rockville internship opportunity will be accepted from Noon EST on Monday, April 24, 2017 through 11:59 PM EST on Wednesday, April 26, 2017. The contest is open to legal Florida residents who are recipients of a Bright Futures Scholarship, 18 years or older, and who are pursuing studies in music, other fine arts or event management. Applicants must write an essay about why live music and art is important to them and to society and how their Bright Futures Scholarship has enhanced their college experience in a positive way. Essays can be submitted (along with full name, address, telephone number, and email address) to essay@thestudentexp.com. Full contest details can be found at www.thestudentexp.com/festival-intern-contest/. In addition, The Student Experience will host a Songwriting Competition for Bright Futures Scholarship recipients. The winner of the Songwriting Competition will be awarded with music equipment and more. Additional details will be announced at the festival and will be available at http://themusicexperience.com. The Student Experience is sponsored by the Florida Lottery. Monster Energy Welcome To Rockville will feature a variety of unique entertainment offerings to go along with its incredible music lineup. In addition, the festival will offer a killer lineup of local culinary genius, including the Eat. Rock. Repeat. area, serving up favorite comfort foods with gourmet ingredients and savory combinations.